The Government-commissioned inquiry, ordered in the wake of Monarch's collapse, shows that travellers need more information and clarity about the risks. The current methods of protecting passengers include travel insurance, credit cards, and the ATOL scheme. But the report states that regulations are often confusing for passengers, meaning some pay twice for the same protection while others are unaware that they have no cover at all. 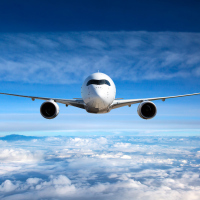 The interim report of the Airline Insolvency Review suggests there is no one-size-fits-all solution to repatriating passengers in the aftermath of airline failure, as the best approach will depend on the circumstances of each case. But it did conclude that generally the most effective option is to keep a carrier's fleet flying, although this does involve risks and expense. When Monarch failed in October last year, all its aircraft were immediately grounded and the Civil Aviation Authority leased and chartered aircraft to repatriate almost 84,000 passengers to the UK at a cost of £60 million. The Airline Insolvency Review found that there is a one-in-four chance of one of the UK's 17 biggest airlines crumbling in any one year. Peter Bucks, chairman of the review, said: "When an airline goes out of business, it can affect large numbers of people who can often look to their government and the taxpayer to assist them in their hour of need. Too many do not have protection of their own, too often requiring the taxpayer to step in. "Even though airline insolvencies are relatively rare, we need to be prepared to deal with the consequences for passengers when one occurs. Ensuring all passengers can get home requires organisation, funding and in many cases more than simply re-booking onto other flights." The review warned that even on the world's busiest route, London - New York, there would not be enough spare capacity to ensure all passengers can complete their journeys without significant delay if an airline with a high market share collapsed. In the case of British Airways failing, there would be nearly four passengers chasing each available alternative seat, according to the inquiry. A final report is due to be published at the end of the year. If you're flying away with your family this summer, make sure you have the best cover for you and your loved ones. Take a look at our dedicated family travel insurance options and give yourself peace of mind on your holidays.